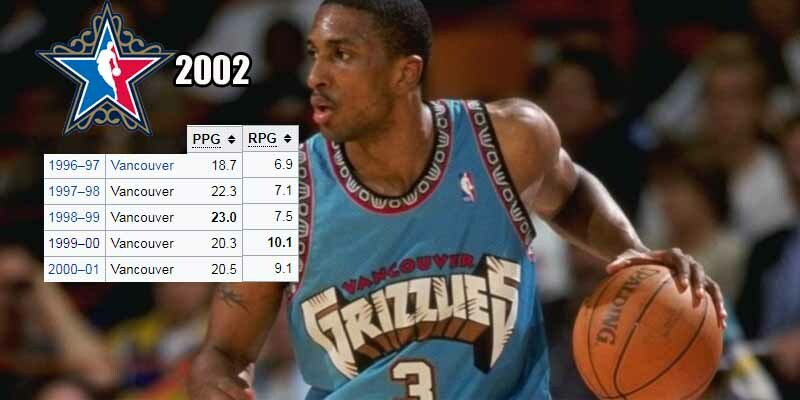 Combo forward Shareef Abdur-Raheem was a member of the Grizzlies when they were still in Vancouver. He was their premier scorer, never averaging less than 20 points outside of his rookie year. He was also a solid rebounder for his height of 6’9. Unfortunately, his career came to an early end at the age of 31 after recurring injuries to his right knee forced him into retirement.